Flash sale alert! 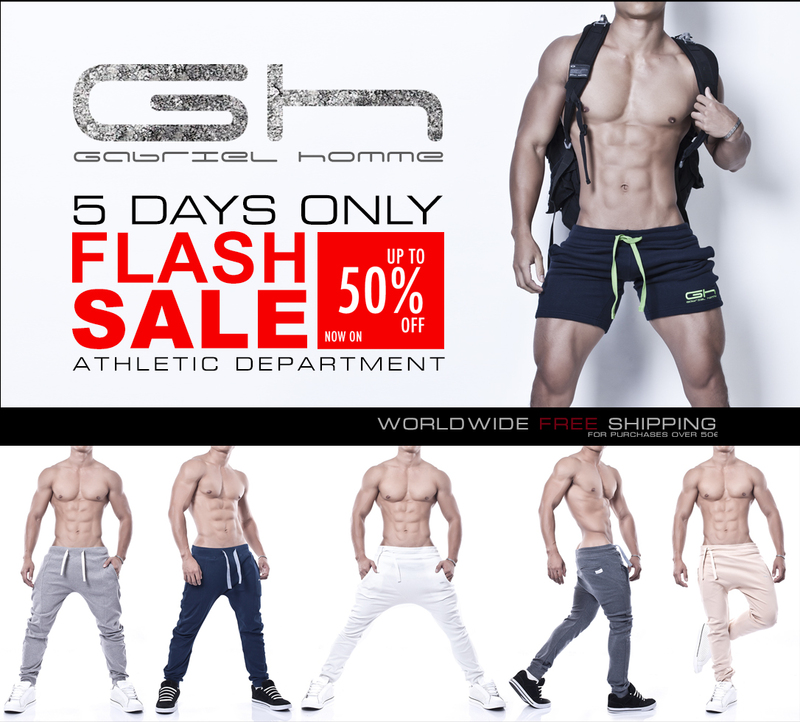 Gabriel Homme are having a huge sale, up to 50% off selected items of their Athletic department. You will find plenty of underwear, tank tops, pants as well as accessories. No coupon code needed, the prices already shown the the reduction. The brand has also introduced it’s official Facebook Page, follow them for more offers, news and new lines!